We only work with Mom and Pop businesses, for the most part, so in other words 1 man or women shows. We are your marketing department for pennies on the dollar. We make sure that our service will fit within your budget and it will delivery and ROI that makes sense. The front page of Google for any search is made up of three main sections when searching using just about any keywords. The first one through three and far right on the page search results will generally be Adwords Ads. Business pay for these spots. Directly below the first three, is the Google maps section, normally this will be A through G with a red balloon next to the listing. A through G is one through seven of the top businesses for the keyword entered. Directly below the Google maps section is what is normally referred to as the organic section. Elevating your business to one of these powerful positions is the key to building your business. 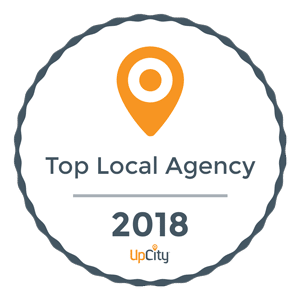 Our Local SEO Services are a powerful tool for owners wanting to elevate their business to one of the top seven spots located their local area. Your local area is not always zip code based, in many cases your Google page can be displayed throughout the entire city depending on how well it is optimized. For most service businesses picking up eight to ten new clients in their local area is the difference between feast and famine. The local map section has quickly become the most sought after section for these businesses. Businesses that would greatly benefit from this type of service; Carpet cleaners, HVAC, General Contractors, Plumbers, and cleaning companies are just to name a few. These business categories can easily see 100 to 500 percent increase in phone calls that convert to new customers by being displayed in the top 10 on Google Maps. Affordable SEO Packages for Every Budget. Month to Month No Contract, Ever. Everything We Do is Yours- You Keep The Website. Real Rankings- You Know The Ones That Deliver Phone Calls!